Some of you might recall that I shared a blog post about #BeautifulMalaysia Photo Contest (which is organised by Tourism Malaysia) a few weeks back. The contest is now in full swing mode and a few winners have already been announced these past few weeks. To date, a total of 9 people have won the Weekly Grand Prizes of either a GoPro Hero4, an iPad Air 2, Canon EOS 100D, or an Oppo R5 mobile phone. In addition, there are also some 40 folks who have won the consolation prizes. I was very pleased to find out recently that at least 3 friends and followers of Ramble and Wander have actually won something – which proves that this photo contest is NOT just for professional photographers. It’s open to everybody (well, anyone above 13) and it’s free, i.e. no entry fee, which makes it so easy for anyone to enter. 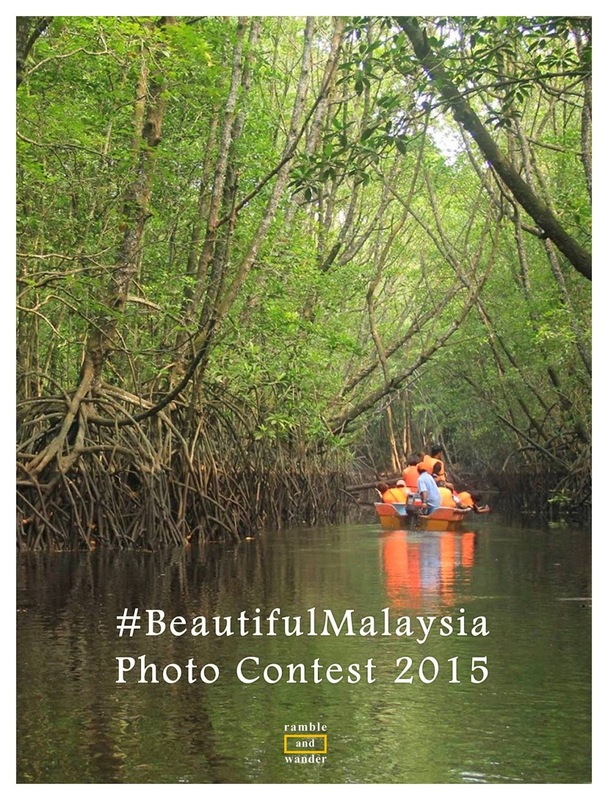 If you however don’t have an Instagram account, you can still participate in the contest as easily via the official #BeautifulMalaysia website. The weekly grand prizes, as I mentioned earlier, include a GoPro Hero4, an iPad Air 2, Canon EOS 100D and an Oppo R5 mobile phone. (I'm oh soo aiming for the GoPro, haha!) You need to be quick though as there are only a few weeks left before the contest ends on 20th Sept 2015. No idea on what to share? Just think about the categories - Places, Food, Festivals or Shopping – and what makes your life and/or experience in Malaysia beautiful. Just capture those moments, and share with the rest of us your #BeautifulMalaysia! Anyways, what are you waiting for, guys? Start sharing your #BeautifulMalaysia, our beautiful Malaysia!